In the plethora of new-generation motorcycles that have crowded the Indian marketplace and made a buyer's choice somewhat difficult, there is one in heavy metal that continues to thump along, something it has been doing since the 1950s. 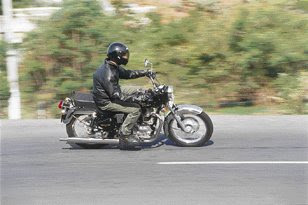 Any Indian worth his salt has frequently been passed by the majestic thump of a Royal Enfield Bullet. These macho machines have been around forever, few even being nursed and passed down from a proud father to his son. The single largest testament to the Bullet's undying popularity is the fact that it continues to move off the shelf in virtually the same guise as when first launched. You see these classics ambling across the length and breadth of the country, in the city, on the highways and even in rural India. They have proven versatile enough to be used in diverse roles — as steeds for the military, police, macho students and the ubiquitous 'doodhwala.' Though at the heart of most Bullets beats a 350cc powerplant, for those loyal fans who just can't get enough, the factory churns out the ultimate — a 500cc- powered Bullet with convenient electric start. We get astride one to give it the road test treatment. Classic styling, build quality could be betterEven a halfwit could relate the Bullet 500 ES to its ancestry. Apart from a dazzling new clear lens headlamp (all glass), and the obvious 500cc badges, it still looks a familiar and heavy motorcycle.Don't forget wearing your shades on sunny days — this Bullet w inks out a treat for chrome lovers. Tall 19-inch rims help embellish the motorcycle's authority-charged presence. Twin parking bulbs glint out on either side of the vintage headlamp housing, which also encloses fork stanchion tubes and the steering column. The barebones instruments cluster lacks a rev gauge or tripmeter, but includes an amp meter. Stiff mirrors on the 500 ES vibrate rear-vision to bits when on the move. The ES suffix to this Bullet translates into Electric Start — a godsend on a bike well known for its knee-mashing kickback. To meet the increased demands of the starter motor, the battery and alternator have been upgraded. The fuel tank is the standard 14.4-litre teardrop Bullet shape topped by its chrome filler-lid. Battery and air filter components are boxed-in protrusions on either flank of the 500 ES. We found the switchgear to be adequate and well up to the tasks at hand, but the feeble horn is not in keeping with the bike’s macho image. Comfy levers and grips are sufficient but overall build quality and the fit-n-finish of this bike still leaves much to desire. What is creditable is the use of snail cam chain adjusters, which are far superior to the crude nut-and-bolt system fitted on almost all other Indian motorcycles. AGRICULTURAL engine, tardy for ITS capacity As mentioned earlier, a massive highlight to the Bullet 500 ES is the convenience of a self-starter. 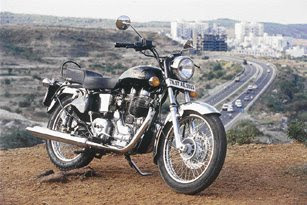 The twin-valve, cast-iron cylinder and air-cooled engine displaces precisely 499cc. It's a long-stroke pushrod- operated Over Head Valve platform carried forward from the middle of the last century and employs a measly compression ratio at 6.5:1, which helps give this machine its characteristic lazy punch. The Bullet 500 ES motor has sadly been sidelined — it neither receives AVL features as on the Thunderbird or Machismo, nor a Constant Velocity carburettor. 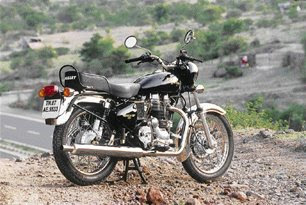 Showing off the sturdy nature of things within, both the crankshaft and the connecting rod are identical to those used on the smaller-bore 350cc Bullets. Astonishingly, the 500 ES’ ignition system continues to use a now-extinct transistor coil system that is as attention-seeking as a spoiled th ree-year-old toddler. Another area that Royal Enfield needs to lavish attention on urgently is the clutch, which we found far too heavy and devoid of proper feel. The four-speed gearbox shifts with a Bullet-style gear lever on the right side. 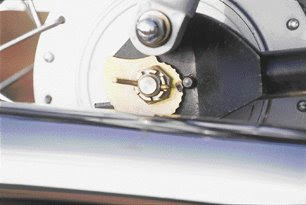 The gearbox is lubricated by grease, while an enhanced oil pump carries out further lubrication. Gearshifting is poor in the peculiar one-up-three-down configuration, with a far too heavy boot-shredding feel. With practice and a dash of talent though, one may overcome false neutrals and missed shifts. Our test Bullet 500 ES showed the typical garage-staining oil seepage lineage as users of this brand have learnt to endure as part of its 'character. 'Riding this bike hard is a letdown. Maximum power of 22bhp at 5500rpm on paper is lacklustre for such a large-capacity engine and reflects Performance more suited to bikes that employ engines a quarter of this capacity. A rider upgrading to the Bullet 500 ES from a 350cc sibling may be thrilled but when compared to modern Indian bikes, the 500 ES is an acute slouch that could do with an overdose of steroids. We managed 0-60kph in 5.68 seconds — which is bettered by almost all Indian 150cc's — though the ES goes on to haul back some tarmac by grabbing the 100kph-mark in a brisk 16.92sec. Pressing on, we managed a 120kph top whack only to find vibrations through the pegs and handlebars reaching alarming levels. Clearly, high speed gambols on the 500 ES are a shake-up. THIRSTY BIG BORE MOTORComfortably devouring the kilometres on long inter-city routes, the Bullet 500 ES delivered 29.9 kilometres per litre, while regular city traffic brought this figure down to 27.3kpl. 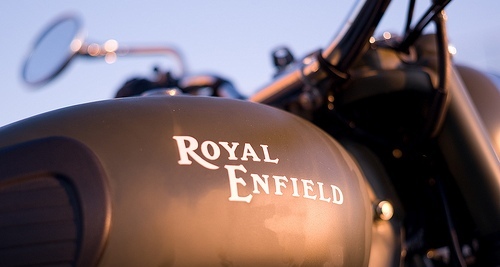 We agree with Royal Enfield’s positioning of this bike as more of a wind-in-the-hair product than a frugal Bullet. Neverthe-less, a 500cc engine delivering an average 28.6kpl is acceptable. One thing's for sure — Royal Enfield's electric-start flagship paints a desirable picture for Bullet aficionados and the 500 ES is as retro and as macho as any other motorcycle from its stable. I t retains the classic left-side gearshift, all the quirks and 'character' that go hand- in-hand with the Bullet experience, and even goes a wee bit faster and thumps just that little louder. The big fly in the ointment though, the one that will have potential customers shying away from the Bullet 500 ES, is the high asking price. With an on-road sticker of close to a lakh of rupees, this is no affordable package. Maybe that's precisely what could make it all that more desirable to a trueblue and loaded Bullet aficionado —the fewer they sell, the more this bike is likely to appeal. TESTERS NOTES: Engine vibrations are obtrusive at high speeds.Gas-charged rear shock absorbers endow bike with fine ride quality.Mirrors are stiff and inconvenient to adjust.